I don't know about you, but I not only want my kids to celebrate our nation's traditions, but I want them to KNOW and to UNDERSTAND the meaning behind the holidays that we honor and the purpose for which they serve. A couple of years ago, I came across an audio version of an historical account of the Pilgrim's courageous journey to a America and the first Thanksgiving meal that they celebrated in honor of their new found religious freedom . The story is very well presented, and is a wonderful listening experience for the whole family. 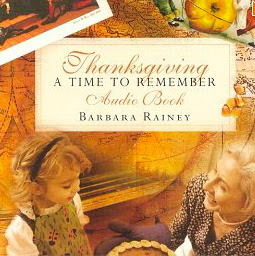 Thanksgiving ~ A Time To Remember. Virtual Field Trip at Plimoth Plantation. Indian teepee cupcakes from These Are a Few of My Favorite Things. Aren't they cute?? 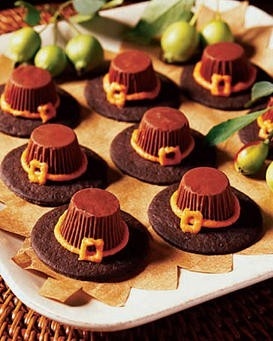 These Pilgrim Hats from Woman's Day are fun and easy (strong emphasis on easy). 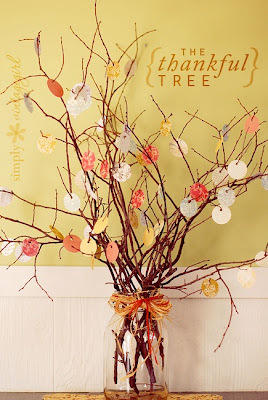 I love the idea of creating a Thanksgiving Tree from Simply Vintage Girl . A simple, yet lovely way to display your family's notes of gratitude. Don't you just love all of the free printables being created by so many fabulous bloggers out there? I'm going to frame this Free Printable from Craftily Ever After and add it to my buffet decor. How will you be spending Thanksgiving this year? 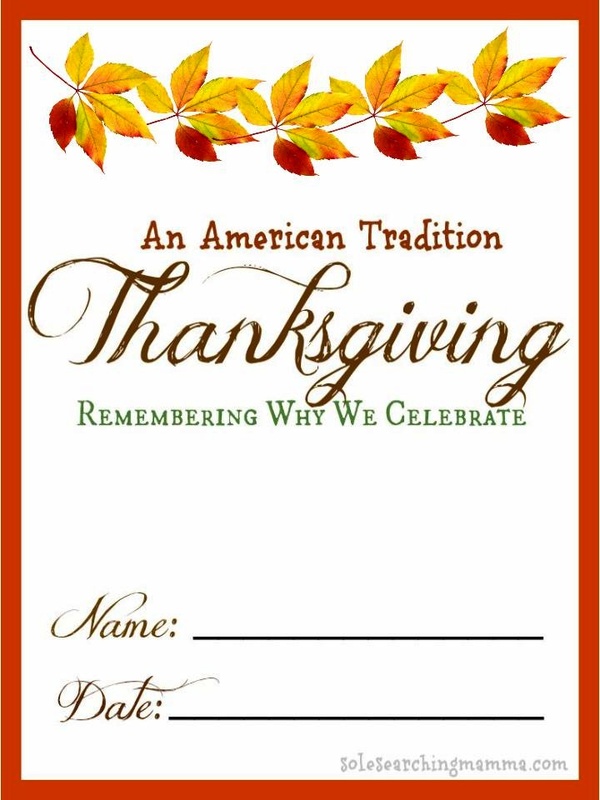 Do you have any special family traditions that you enjoy? Please share! Wow, Susan! I was just adding this to my list of things for next week so thanks for doing all my work for me! You're awesome! Cute ideas! We went to Plimoth P. this summer . . . it was GREAT! Thanks! Will be using some of these ideas! What wonderful ideas the share the idea of Thanksgiving with our kids, thank you so much for sharing! I just found your lovely blog through the Let Them Eat Cake linkup - excited to read more! Following you now via GFC! So many good ideas to really make Thanksgiving even more special than it already is. 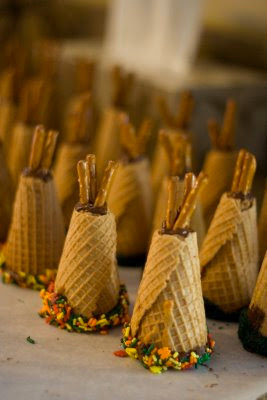 I love the little teepees! and the thankyou tree. Thanks for linking up with The More Than Mommies mixer this week! This is so great!! I am sharing this with everyone I know!! Thanks for doing this, I have been really wanting to do something like this and just haven't taken the time to investigate! So thank you!! !